Jim Corbett with the Champawat tiger. Leave it to the current generation of pseudo-intelligentsia. They can screw up anything. Dane Huckelbridge, for instance, takes one chapter of the great Jim Corbett’s Big Game Hunting classic Maneaters of Kumaon (1944), and makes his own book out of it, No Beast So Fierce: The Terrifying True Story of the Champawat Tiger, the Deadliest Animal in History (2019). The difference between Jim Corbett writing a first-hand account in the 1940s and Dane Huckelbridge recycling that account today is the ideology. Jim Corbett’s story is a modest, downright self-effacing account of how a local sportsman went to the assistance of terrified Indian villagers and tracked down and killed an extraordinarily bold and aggressive man-eating tigress who’d killed and eaten a record 436 people. Corbett does attribute the tiger’s human predation to a jaw injury from an old bullet-wound, but Corbett tells a stoic and under-stated modern version of the classic man versus monster story. For Huckelbridge though, the man versus monster saga is just a secondary problem arising from a more basic, more important conflict: British Colonialism versus Pristine Native India. Which brings us, inevitably, to colonialism itself—a topic far too broad and multifaceted for any single book, let alone one that’s concerned primarily with man-eating tigers. Yet it is colonialism, undeniably, and the onslaught of environmental destruction that it almost universally heralds, that served as the primary catalyst in the creation of our man-eater. It may have been a poacher’s bullet in Nepal that first turned the Champawat Tiger upon our kind, but it was a full century of disastrous ecological mismanagement in the Indian subcontinent that drove it out of the wild forests and grasslands it should have called home, and allowed it to become the prodigious killer that it was. What becomes clear upon closer historical examination is that the Champawat was not an incident of nature gone awry—it was in fact a man-made disaster. From Valmik Thapar to Jim Corbett himself, any tiger wallah could tell you the various factors that can turn a normal tiger into a man-eater: a disabling wound or infirmity, a loss of prey species, or a degradation of natural habitat. 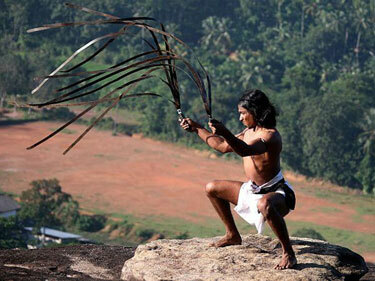 In the case of the Champawat, however, we find not just one but all three of these factors to be irrefutably present. Essentially, by the late nineteenth century, the British in the United Provinces of northern India and their Rana dynasty counterparts in western Nepal had created, through a combination of irresponsible forestry tactics, agricultural policies, and hunting practices, the ideal conditions for an ecological catastrophe. And it was the sort of catastrophe we can still find whiffs of today, be it in the recent spate of shark attacks in Réunion Island, the rise of human–wolf conflict on the outskirts of Yellowstone, or even the man-eating tigers that continue to appear in places like the Sundarbans forest of India or Nepal’s Chitwan National Park. In the modern day, we have at last, thankfully, come to realize the importance of apex predators in maintaining the health of our ecosystems—but we’re still negotiating, somewhat painfully, how best to live alongside them. And that’s to say nothing of the far more sweeping problems posed by global warming and mass extinction, exigencies that have arisen from very much the same amalgamation of economic mismanagement and environmental destruction. Apex predators are generally considered bellwethers of the overall health of the environment, and at present, with carbon emissions on the rise and natural habitats diminishing, the outlook for both feels disarmingly uncertain. Which is why this particular story of environmental conflict is not only relevant, but urgent and necessary. At its core, Jim Corbett’s quest to rid the valleys of Kumaon of the Champawat Tiger is dramatic and straightforward, but the tensions that underscore it contain the resonance of much larger and more grievous issues. Yes, it is a timeless tale of cunning and courage, but also a lesson, still very much pertinent today, about how deforestation, industrialization, and colonization can upset the fragile balance of cultures and ecosystems alike, creating unseen pressures that, at a certain point, must find their release. What a spectacular mélange of politically correct, fashionable think nonsense! All of Mr. Huckelbridge’s pious notions about “ecosystems” healthy or otherwise, “apex predators,” proper forestry, suitable hunting practices, game conservation,and Environmentalism are entirely Western ideas. When he applies them to Kumaon, he himself is being colonialist. The Champawat maneater was undoubtedly injured by an unskilled native poacher armed with a primitive musket, shooting at a tiger in defiance of hunting laws and game permits invented and imposed by the British Raj. How Huckelbridge can claim that this occurred because the poor tiger was driven out of some unidentified “forests and grasslands” by “a century of ecological mismanagement and environmental destruction” to arrive at the forests and grasslands of Kumaon is unexplained. Where exactly was it that all this alleged mismanagement and destruction occurred? Were there no native tigers in Kumaon previous to all this nearby mismanagement and destruction? 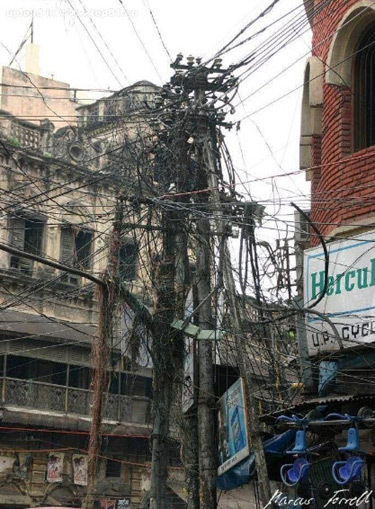 What exactly does Huckelbridge think the British (and their Rana dynasty of Western Nepal counterparts) mismanaged and destroyed? Why are the British supposedly to blame for (politically independent) Nepalese actions and policies anyway? It’s all just a farrago of Enviro-sanctimony and cant lavishly seasoned with the usual “British Colonialism was simply awful” left-wing fantasy. 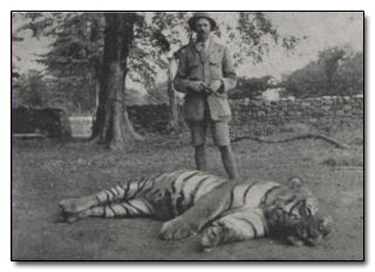 In reality, the difference between Pre-Raj India and the India of Jim Corbett was that, in the former, tigers undoubtedly had more commonly the upper hand, most humans were unarmed or poorly armed, maneaters munched their way through the Indian peasantry unrebuked without records or scores of the numbers eaten ever being known or kept. Huckelbridge’s book is nothing more than a breathless re-telling of one chapter of Maneaters of Kumaon accompanied by a truckload of PC nonsense and a lot sanctimonious self-righteousness. Consign this one to Kali! The Human Remains of Skeleton Lake – Visible Only when the Ice Melts. From Quora, a pretty interesting story. 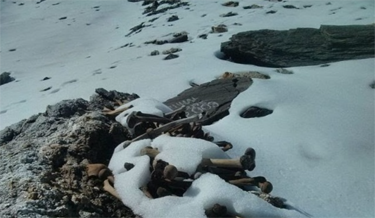 In 1942, H K. Madhawl, a British forest guard in Roopkund, India made an alarming discovery (despite the fact that there had been reports of bones on the lake shore since the mid 19th century). At an elevation of 15,750 feet, near the bottom of a small valley, was a frozen lake absolutely full of skeletons. Roopkund Lake, in the state of Uttarakhand, India, was a six-foot-deep glacial lake that typically remained frozen year round. What he saw up there confused everyone. At first, it was one bone. But as the temperatures rose, the number of exposed remains grew exponentially. That summer, the ice melting revealed even more skeletal remains, floating in the water and lying haphazardly around the lake’s edges. People wondered what happened, and what were these people doing up here? The immediate assumption (it being war time) was that these were the remains of Japanese soldiers who had died of exposure while sneaking through India. The British government, terrified of a Japanese land invasion, sent a team of investigators to determine if this was true. However upon examination they realized these bones were not from Japanese soldiers—they weren’t new enough. With the immediate concerns of war eased, the urgency of identifying the remains became less of a priority and efforts to further analyze the remains were sidelined. It was evident that the bones were quite old indeed. Flesh, hair, and the bones themselves had been preserved by the dry, cold air, but no one could properly determine exactly when they were from. More than that, they had no idea what had killed over 300 people in this small valley. Many theories were put forth including an epidemic, landslide, and ritual suicide. For decades, no one was able to shed light on the mystery of Skeleton Lake. But what caused their death? Was there a massive landslide? Did some disease strike suddenly? Were the individuals conducting a ritualistic suicide? Did they die of starvation? Were they killed in an enemy attack? One theory even suggests that the individuals did not die at the scene of the lake, but their bodies were deposited there as a result of glacial movement. A 2004 expedition to the site seems to have finally revealed the mystery of what caused those people’s deaths. The answer was stranger than anyone had guessed. The 2004 expedition took samples of the bones as well as bits of preserved human tissues. As it turns out, all the bodies date to around 850 AD. DNA evidence indicates that there were two distinct groups of people, one a family or tribe of closely related individuals, and a second smaller, shorter group of locals, likely hired as porters and guides. A number of these victims of the mountain were so well preserved that they still had remnants of flesh, hair, fingernails, and clothes. Rings, spears, leather shoes, and bamboo staves were found, leading experts to believe that the group was comprised of pilgrims heading through the valley with the help of the locals. The plausible scenario of what exactly happened? The two groups perhaps met at the foot of the mountain. The first of the two, taller and who which outnumbered the others, probably wanted to make a pilgrimage pass through the mountain and are thought to have been of Iranian origin. The second group, with thinner and smaller bones, showed up as their local Indian guides. 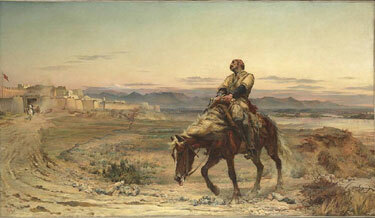 The travelers were related to each other (a large family or tribe), and could have come from Iran. The locals that guided the way were unrelated. Another suggestion is that they braved the elements to collect “Keeda Jadi,” which are larvae of the ghost moth that have become the home to a fungus (that actually wraps around the larvae and slowly devours it). These “Magical Mushrooms” are believed to have incredible medicinal properties and locals head out in search of them in the springtime. The journey should have progressed well until the point everyone was trapped, with no place to run and hide as a disaster struck. A violent torrent of baseball-sized hailstones falling from the skies battered the whole group. All the bodies had died in a similar way, from blows to the head. However, the short deep cracks in the skulls appeared to be the result not of weapons, but rather of something rounded. The bodies also only had wounds on their heads, and shoulders as if the blows had all come from directly above. What had killed them all, porter and pilgrim alike? Among Himalayan women there is an ancient and traditional folk song. The lyrics state that “these are the holy lands of the Goddess Nanda, her sanctuary in the mountains. King Jasdal of Kanauj and his wife were undertaking the “Nanda Jat” pilgrimage; along the way, the queen gave birth. Instead of pleasing their goddess with their tributes, the deity was angered for this defielment of her pure mountain. To punish the group, she sent a great snowstorm, flinging iron-like hailstones that took the life of each and every person”. After much research and consideration, the 2004 expedition came to the same conclusion. All 300 people died from a sudden and severe hailstorm. Trapped in the valley with nowhere to hide or seek shelter, the “hard as iron” cricket ball-sized [about 23 centimeter/9 inches circumference] hailstones came by the thousands, resulting in the travelers’ bizarre sudden death. The remains lay in the lake for 1,200 years until their discovery. Once it flourished and could be found in all of the major rivers of India and Pakistan. The Indus, which has its source in Tibet and flows through Pakistan and Northern India had gharials along almost its entire length. Now, in this vast river not a single one may be found. It is the same in many other major river systems. The list is depressingly long. The Irrawaddy in Myanmar holds none, neither does the Brahmaputra of Bhutan and Bangladesh – and this is not counting the many tributaries of these vast waterways. 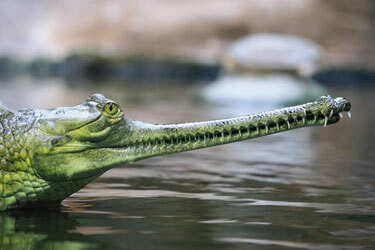 In fact the gharial can now be found in only 2% of its former territory. There are about ten places in Asia where the gharial is bred in captivity with the young released in to the wild at around the age of three. 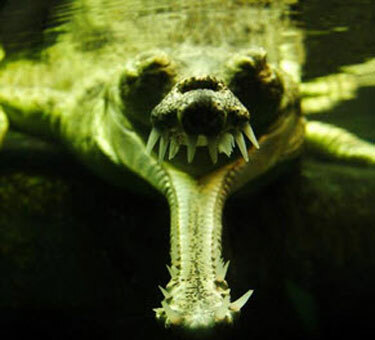 Another 8 centers in the US and 3 in Europe also offer some hope to the gharial. 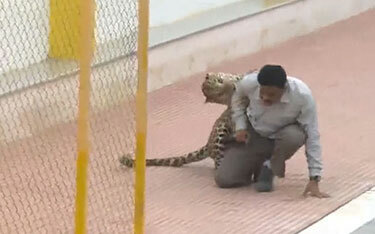 Young female leopard rescued from 60′ well in Pimpalgaon Sinddhanath village, Junnar, Maharashtra, India. Philip Mason (1906-1999) attended Sedbergh School and Balliol College, Oxford before going to India to serve in the Indian Civil Service in 1928. He found himself stationed at Saharanpur in Northern India working as a magistrate with third-class powers, meaning he could send someone to prison for three months or fine someone 50 rupees (the equivalent of £4 or $16 at the time). He recalls in his memoir, A Shaft of Sunlight, 1978, that as junior magistrate, he was in charge of the smelly jobs. 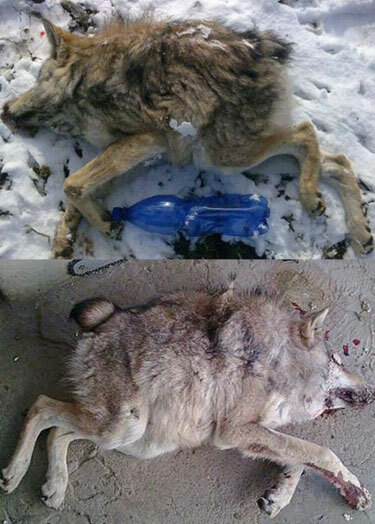 There was a reward of five rupees for a dead wolf. A party of very low caste, nomadic gypsy folk called Kanjars (pronounced as in conjuror) [Wikipedia: “listed under the Criminal Tribes Act, 1871, as being a tribe ‘addicted to the systematic commission of non-bailable offences.’] came in with thirteen dead wolves, which they had collected in the course of a trip into the jungles of the Siwalik foothills, away to the north. There was a strong stink, and so of course it was I who was sent to certify that they were genuine wolves, not jackals. They were covered with dried mud and blood and not very easy to see but they seemed too big for jackals so I certified that they were wolves and ordered the Nazir [the Quartermaster] to pay the rewards. The Kanjars were told to cut off their ears and tails and burn them; I waited till I had seen these grisly relics thrown on the fire. It was a strange task for a student of philosophy. The Kanjars were back again next month with more wolves. It was on their third visit that I discovered that they had kept the sun-dried carcasses of the original wolves, inserted a fresh-killed jackal inside the rib-cage — as the chef of a Victorian duke might stuff a quail inside an ortolan — and sewn on new ears and taild manufactured from hessian and smeared with fresh blood. My formal education being over, my true education had begun. 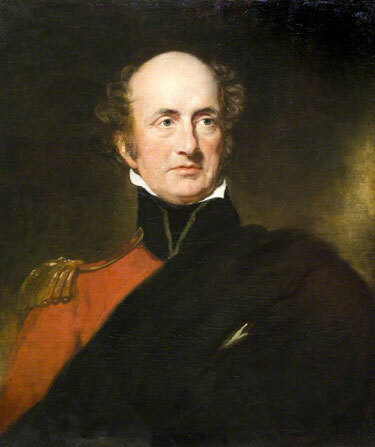 Sir John Malcolm 1769-1833, Governor of Bombay 1827-1830. –Philip Woodruff, The Men Who Ruled India: The Founders, 1953.
the Archives of Never Yet Melted in the 'India' Category.